Why Are An Indian Automaker and Two Biotech Stocks Leading Today’s Gainers? 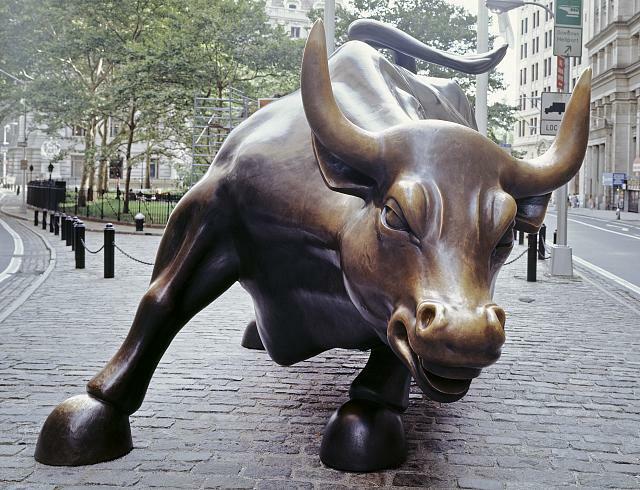 Key bank earnings and economic data have reinvigorated the U.S stock market today. The Consumer Price Index and initial jobless claims data were better than expected, paving the way for a rally after two days of losses. Three stocks stood out today, namely Keryx Biopharmaceuticals (NASDAQ:KERX), Transition Therapeutics Inc (USA) (NASDAQ:TTHI) and Tata Motors Limited (ADR) (NYSE:TTM). Let’s take a look at why they are surging and whether the smart money saw it coming. Indian car maker Tata Motors Limited (ADR) (NYSE:TTM) has made headlines today, as investors expect the new round of models introduced by the company’s luxury division, Jaguar Land Rover, will boost sales. Analysts at Ambit Capital believe the introduction of new models, notably the Jaguar XE and Discovery Sport, will result in sales of more than 500,000 vehicles in the 12 months through March, amid strong demand in Europe and the United States. In September, sales were up by 22% to 10,394 cars, with the introduction of the Jaguar XE as the main catalyst. Could this trigger a comeback for the stock? Shares have been on a strong downtrend so far this year, but have managed to stage a small rally since the start of the month, which has continued today with gains of 7.86%. Ken Fisher is a big fan of Tata Motors Limited (ADR) (NYSE:TTM), holding the largest stake among the funds we follow. In its latest 13F filing, Fisher Asset Management reported ownership of 8.17 million shares, up by 18% between April 1 and June 30. Cliff Asness is also optimistic about the prospects of the Indian car maker, lifting his position to 4.36 million shares. In gerenal, however, Tata Motors is not very popular among the hedge funds we track, as their combined positions account for just 3.3% of the company’s common stock. During the second quarter, the number of funds invested in the car maker fell to 20 from 24, while the value of their holdings fell by 19% to $580 million. Why do we pay attention to hedge fund sentiment? Most investors ignore hedge funds’ moves because as a group their average net returns trailed the market since 2008 by a large margin. Unfortunately, most investors don’t realize that hedge funds are hedged and they also charge an arm and a leg, so they are likely to underperform the market in a bull market. We ignore their short positions and by imitating hedge funds’ stock picks independently, we don’t have to pay them a dime. Our research has shown that hedge funds’ long stock picks generate strong risk-adjusted returns. For instance the 15 most popular small-cap stocks outperformed the S&P 500 Index by an average of 95 basis points per month in our back-tests spanning the 1999-2012 period. We have been tracking the performance of these stocks in real-time since the end of August 2012. After all, things change and we need to verify that back-test results aren’t just a statistical fluke. We weren’t proven wrong. These 15 stocks managed to return 102% over the last 37 months and outperformed the S&P 500 Index by 53 percentage points (see the details here). On the next page we will discuss the two biotech stocks that have gotten investors excited today.